IMPORTANT: Parents must complete emergency contact and student health information annually. In an effort to reduce paper waste, EWCSD is eliminating the use of orange cards and purple cards to capture this information. 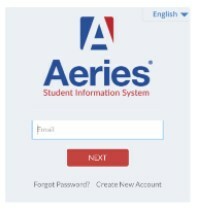 Parents must now utilize Aeries Parent Portal to update this critical information that is needed in the event of an emergency. Please follow the steps outlined in the Parent Portal Data Confirmation Steps. If you know your child's student id number you can go to Request Parent Portal Account. Your request will be processed in the order received and you will receive an email within 2-3 business days with instructions to create your account. If you do not have your child's student id number you can provide your school office with your email address and they can create an account for you. Contact your school office if you have questions. In your email account, check your SPAM (or junk mail) folder to see if it was automatically sent there. Add parenthelp@ewcsd.org to your contacts so you are sure to receive all Parent Portal-related emails in the future. Check with your email provider regarding compatibility with Aeries. Click on the Parent Portal login on this webpage. On the login window, click on the "Forgot Password?" link. An email will be sent to the email address you provided with instructions on how to reset your password. Have you received your parent portal letter? Contact your school office if you have not received your Parent Portal Letter.